Home Patient Centre Blog How To Get The Most Out Of Your Anti-Ageing Treatment? How To Get The Most Out Of Your Anti-Ageing Treatment? There are thousands of anti-ageing treatments available ranging from creams to surgery; each with it’s unique list of benefits and considerations. When considering anti-ageing treatment you should also be thinking of how to make sure your procedure lasts longer, showing better results and have an all-round greater improvement on the visible signs of ageing. The benefits of maintaining overall skin health is that it can improve your appearance and give you an ageless look. Ashbury Clinic offers treatments that can offer a permanent solution to ageing skin. We have permanent anti-wrinkle treatment which can correct wrinkles and fine lines while you focus on daily aspects of your skin care routine with confidence. Having a skin care concern corrected long term means you can shift your focus and look forward to other treatments that could benefit you. This can allow you to enjoy healthy, ageless skin. See: Dramatic results from permanent anti-wrinkle injections. We have all heard the saying that prevention is better than cure, and the same principle applies to skin care. Working to maintain youthful skin is far easier than trying to reverse the signs of ageing once they’ve set in. 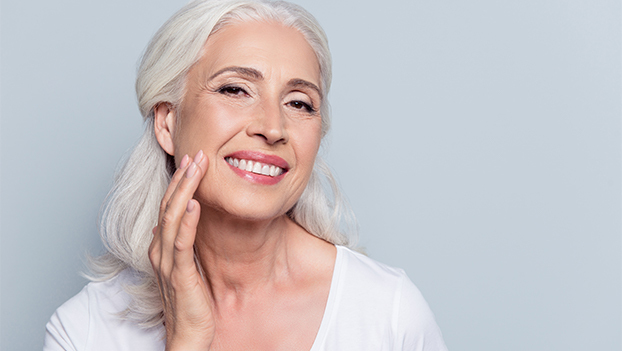 Starting your anti-ageing routine earlier can go a long way in improving the appearance of ageing skin as well as reducing the number and severity of wrinkles that may appear. Using anti-ageing injectables can be effective in the prevention of wrinkles and fine lines and has also been found not to be harmful to the skin even with early use. Contact us and discuss your skin ageing concerns with a professional for the best results. The sun, pollution and other environmental factors can have a harsh effect on your skin. While you cannot prevent the environment from affecting your skin you can make changes to your personal habits to protect your skin from damage. Habits such as smoking and sun tanning can expose your skin to harm and contribute to premature or accelerated ageing. Using skin care products and sunscreen that protect your skin from the environment that it is exposed to can contribute to better skin and longer lasting effects of anti-ageing treatments. Everyone’s skin is unique and reacts differently to various skin care treatments. Our team are highly trained in anti-ageing treatments and can help you find the best skin care routine, products and procedures for your unique skin and skin concerns. It is important to go to trusted skin care professionals and ensure that the products you use are safe and designed for your skin type. Ashbury Clinic employs knowledgeable and qualified professionals who can suggest products that will work for you without damaging your skin. With specialised treatments and procedures we can help you get the skin care you’ve always desired. Find laser, injectable and skin tightening treatments designed to help you achieve the level of skin care you are looking for. Ageing presents in multiple ways on the skin. For the best results it is recommended that you use a combination of treatments that will target and correct each issue separately. Ashbury Clinic has a range of procedures to treat different skin concerns which may or may not be related to ageing but contribute to the overall aesthetic appeal of the skin and can add to a flawless, radiant and youthful face. Watch: Ashbury Clinic’s Dr Chen talks all thing wrinkles and how he can help you prevent and reduce them. Follow us on Facebook for our latest specials and treatments!